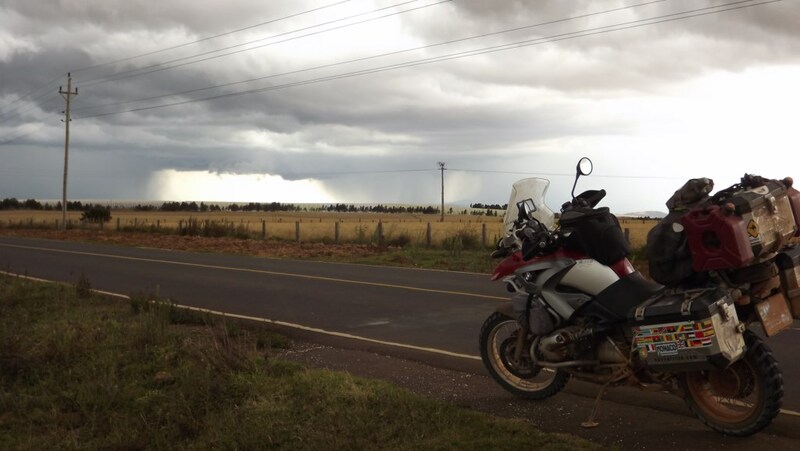 I left Addis in the pouring rain, that was to be the setting for the 2 days of riding towards the Kenyian border. 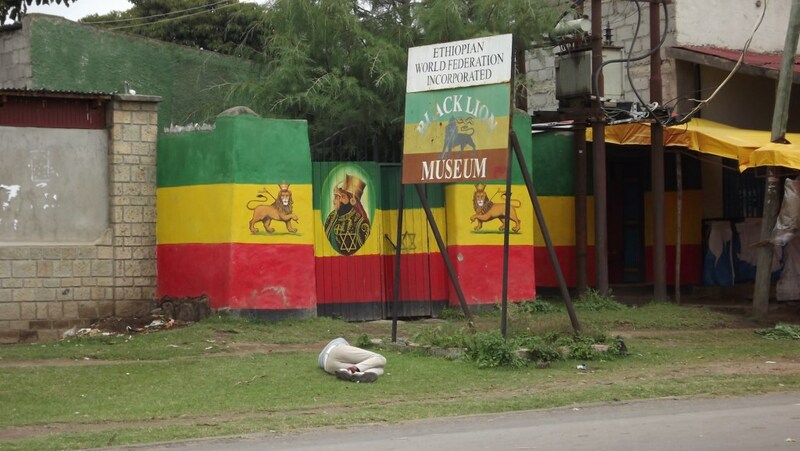 Addis Ababa is quite a run down city. The poverty is quite alarming. Its very noticeable when you pass the massive presidential palace and right in front of the gates the potholes are a feet deep and mud lay strewn across the road from the non functioning drainage system. Shacks line the opposite side of the road with very poor people catching muddy rain water from the mud puddles next to the road as most of Addis is without water. Nonetheless the people make it work despite the circumstances. I got the tyres changed and did some maintenance and got ready for the trip down south. 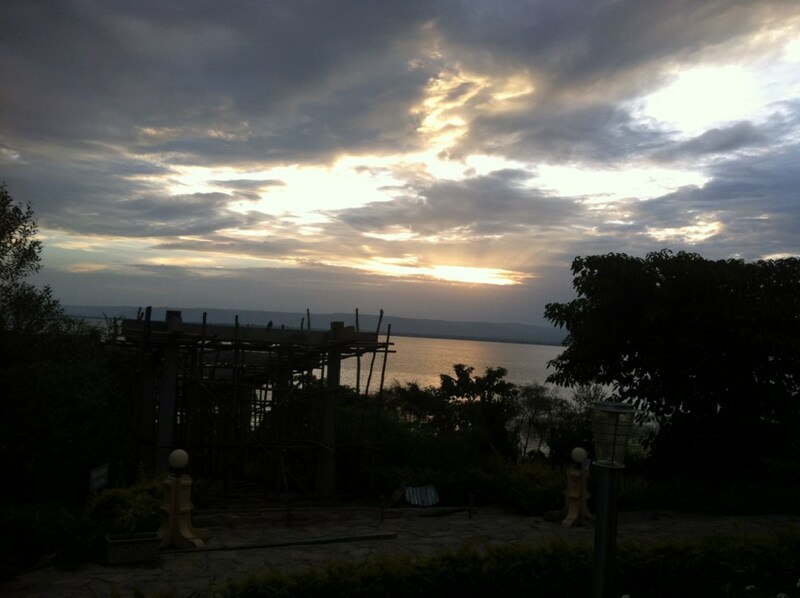 First night was to be in Awassa, I lovely town next to Lake Awassa. It was as always a tough road to take on, the people were just absolutely terrible, much worst than in the north. It seemed like every person I passed was shouting something at me and jumping in front of the bike and doing some random jumping around and just making a nuisance of themselves. 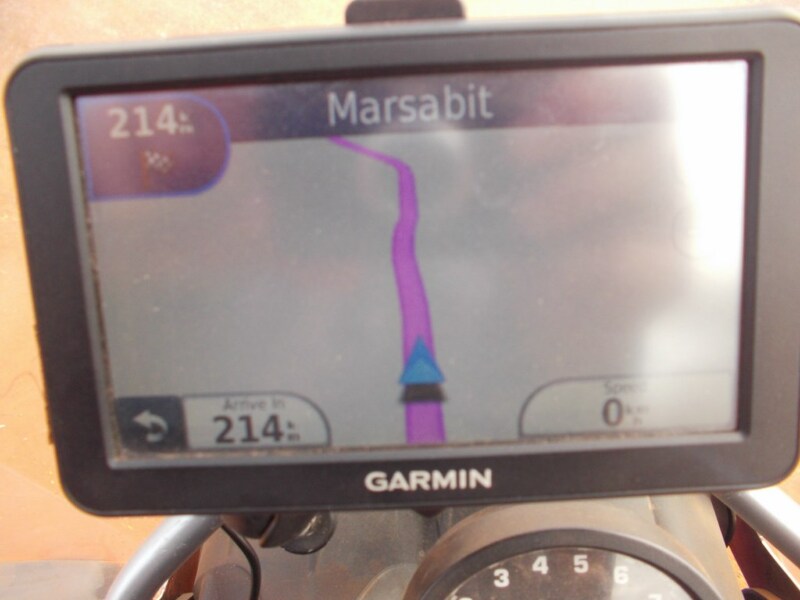 I was tired after 280km as I never went above 60km/h. 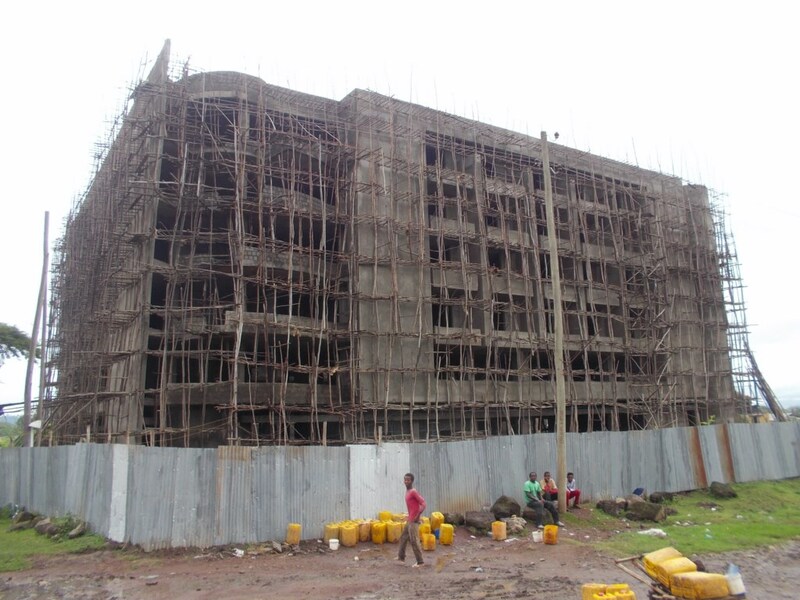 I pulled in to a small pension opposite the smart hotel Haile and settled for the night. I had one problem though and that was that the bushes holding the front light were in terrible shape so I proceeded to strip them and with the help of some super glue I tried to get them in some sort of shape that they will last through northern Kenya. After I put the front of the bike back together I walked across to the resort and settled down with a cold one and just watched in awe as the fish eagles sat in the trees and squawked. The sun was setting so it was quite a lovely sight. 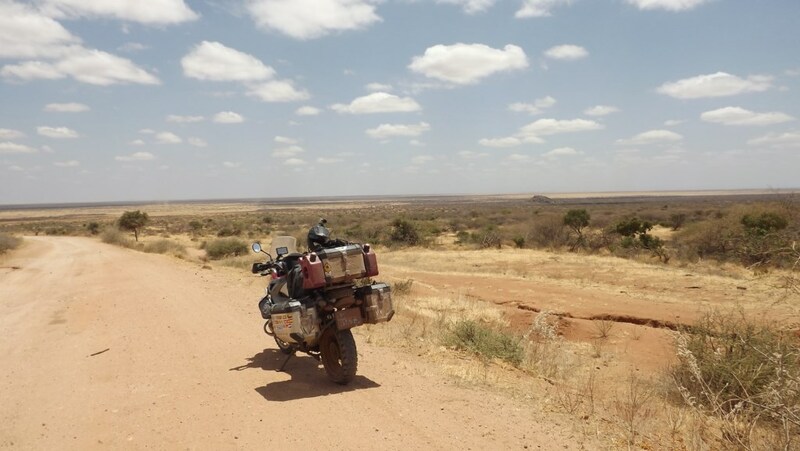 The next morning I was off for the last 500km push towards the border town of Moyale. It was as always absolute torture, but the road was quite scenic and I enjoyed the countryside with my earphones in to block the people out. I made it to Fincawa. After crossing the town and heading down the escarpment the people stopped all of a sudden. There wasn’t a soul in sight! Bliss! 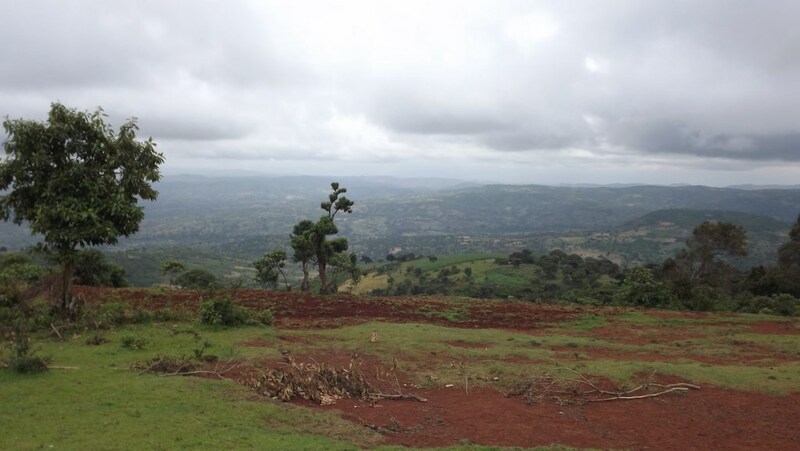 I was heading down the mountains to the dry and arid plains of Africa. The road was quite bad with many potholes and even for a bike I couldn’t miss them all. 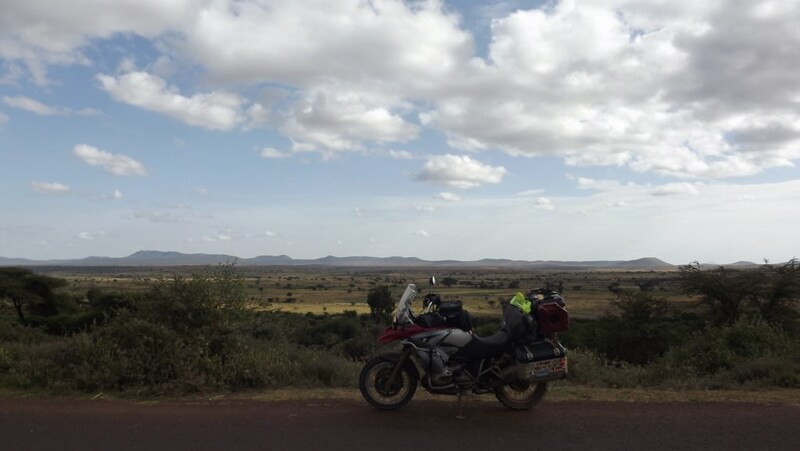 It didn’t bother me as in the distance I started to see some Thorn Trees and the beautiful savannah plains of central Africa. 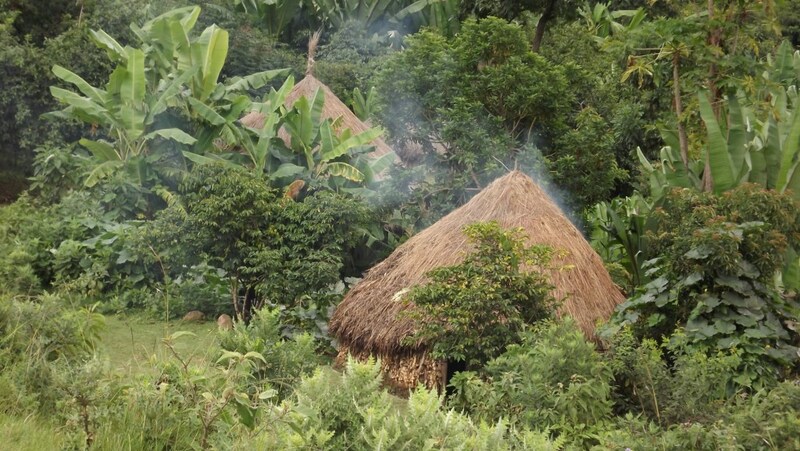 I also had a bit of a fright in the one village when I was buying some fuel on the black market. 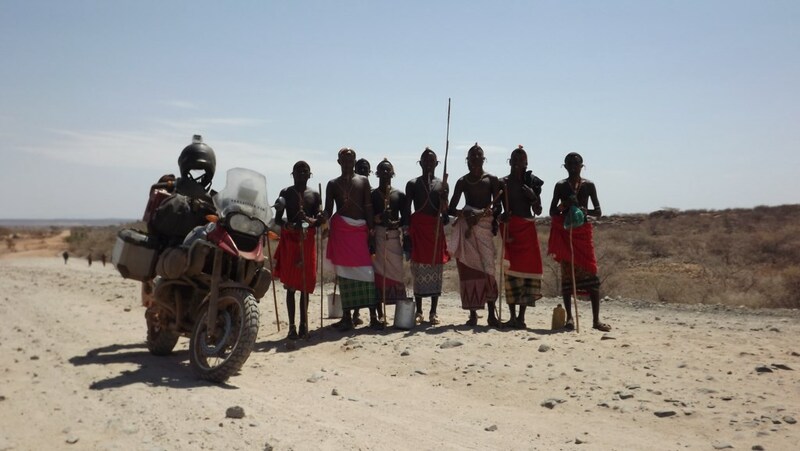 I stopped and right after I switch off the bike the guys were ready to pour the petrol in. I didn’t notice but the guy was messing litres of fuel over the side of the bike and all of a sudden I just saw smoke pouring out from underneath the bike. I was heading for a trip ender and with my bare hands I was wiping the fuel of the burning exhaust. After I calmed down and told the guy what I thought of him, I realised that it was probably only steam from the petrol that came rushing up but it was a massive fright nonetheless. Little villages popped up every now and again. 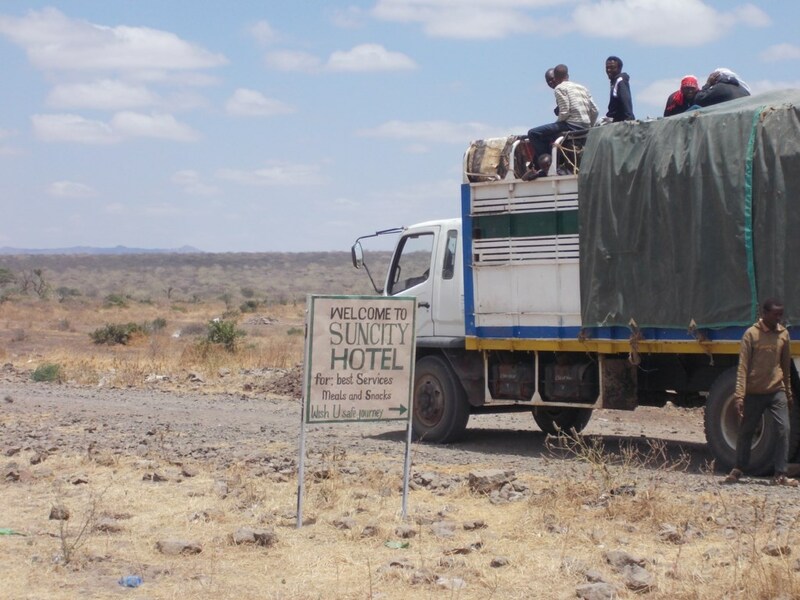 I reached the Ethiopian side of Moyale and found a dodgy hotel, but it would just have to suffice for the night. I treated myself to dinner, all they had was scrambled eggs and bread. The next morning I was infront of the customs office at 6am. I was feeling quite nervous and anxious for what laid ahead. 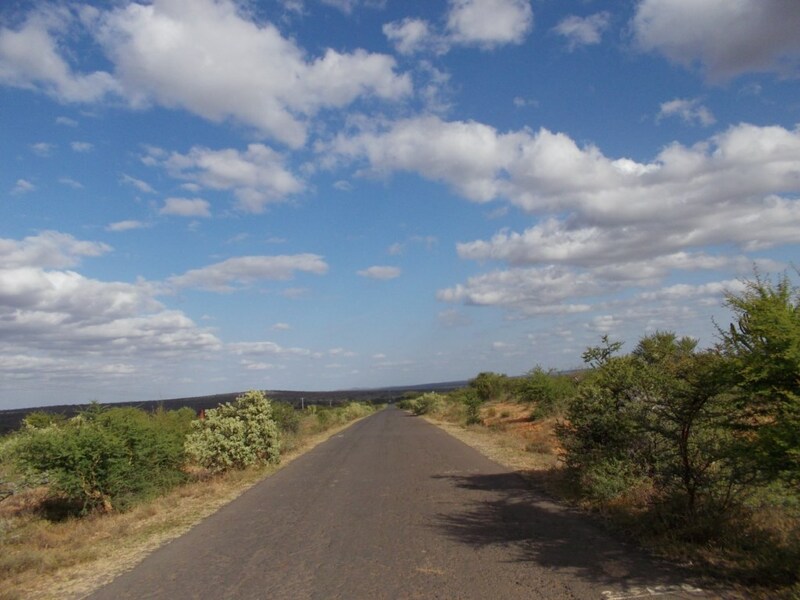 The road from Moyale to Isiolo is the road that everyone talks about at every campsite in East Africa. It has names like “BMW Breaker”. 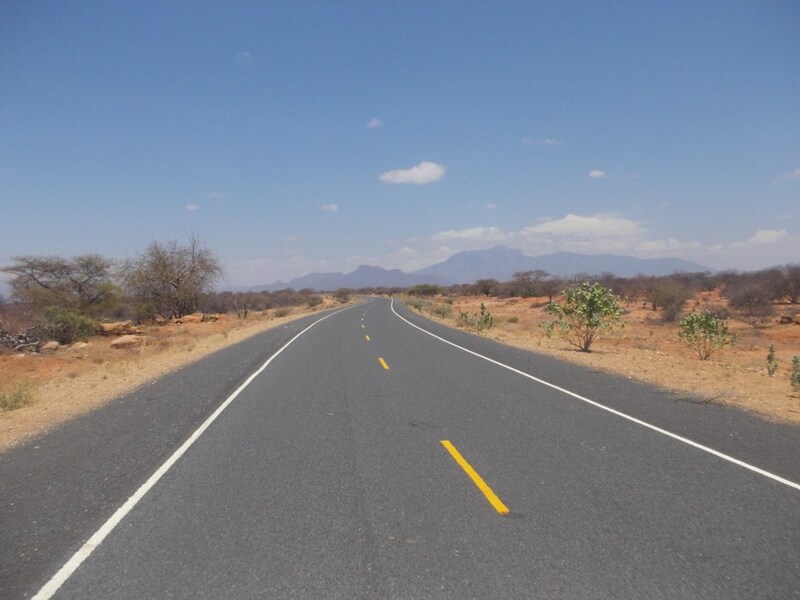 Also it is renound for the banditary that takes place on this desolate stretch of road in Africa. 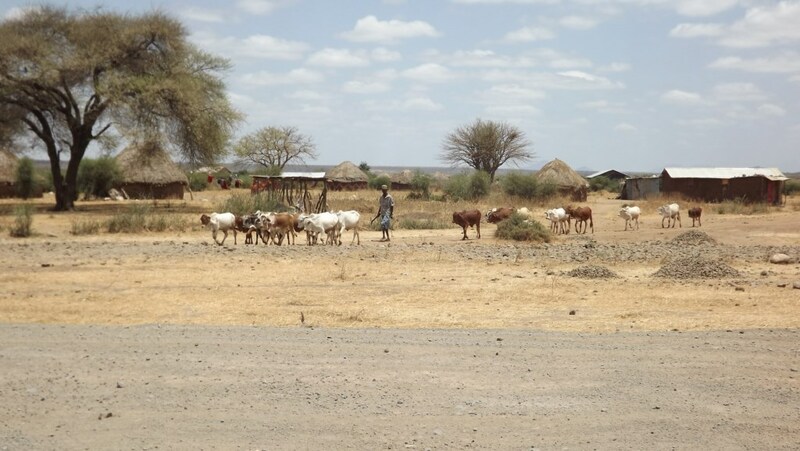 It is rumoured that the Somali’s cross the border in search of some cattle to poach and while they are armed with AK-47’s they tend to rob the travellers on this road. So after I found out that the offices only open at 8am I had some time to sit and watch the town wake up and start there daily chores. 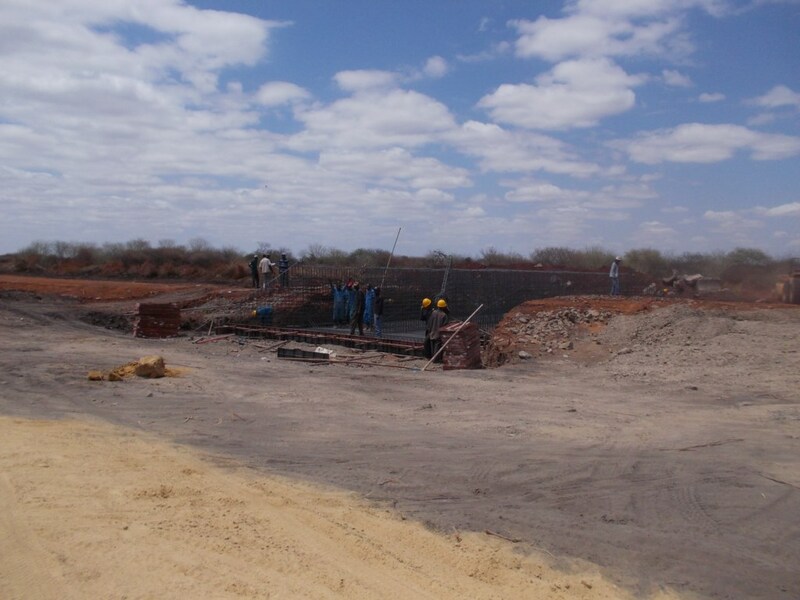 The first was the water being transported to the Kenyian side. 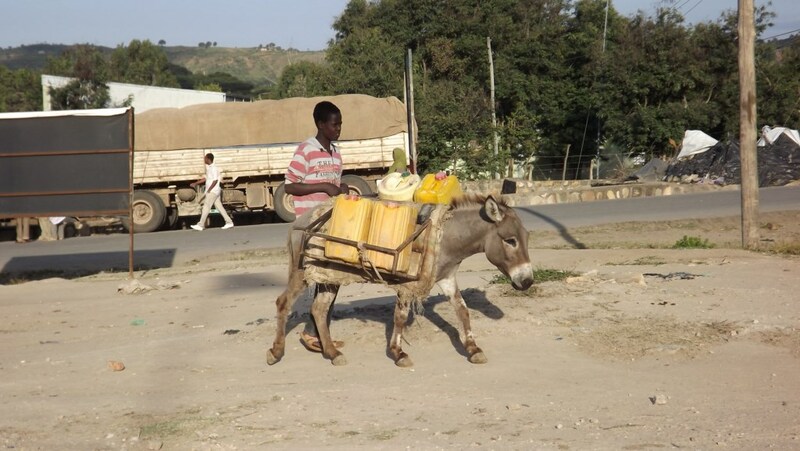 Moyale in Kenya had no water so it has become a job to sell water to the guys across the border. After 30min of paperwork I was in Kenya. I loaded up on some biscuits and hit the road. 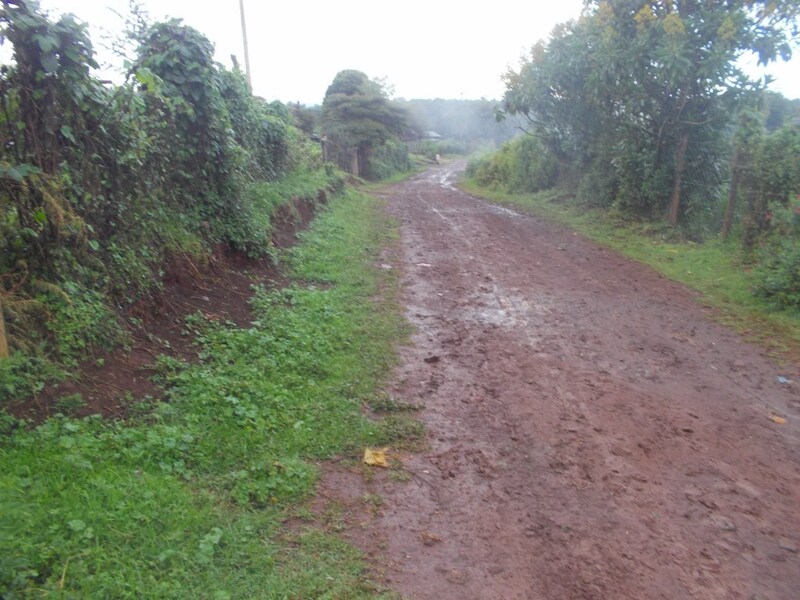 The gravel road starts once you cross the Kenyian border. At first it was ok, some corrugations but nothing to serious. I stopped every 45min to give the shock some time to cool down. I had a spare strapped to the side of the bike but I only wanted to use it for an emergency. 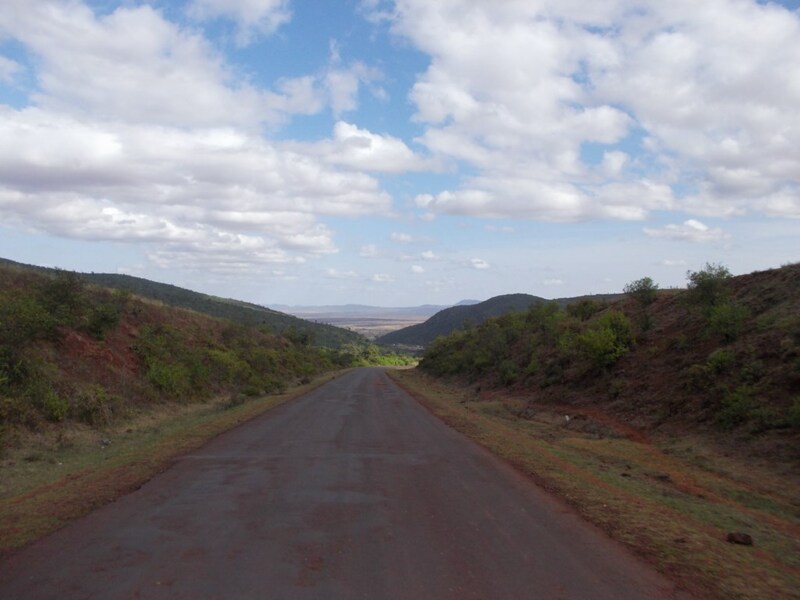 The first 125km was dense bushveld and then it opens up at Turbi village and the plain can be seen for miles. Turbi village in the distance. The terrain also changed. The corrugations passed and gave way to some heavy rocky patches. Like always “stadig oor die klippies”. It wasn’t a difficult road and by no means a car or bike destroyer. The trick was to force yourself to slow down all the time and just to take it easy. After a while that became easy as I was stopping every 20min to take a photo. I noticed that there were so many camels around. 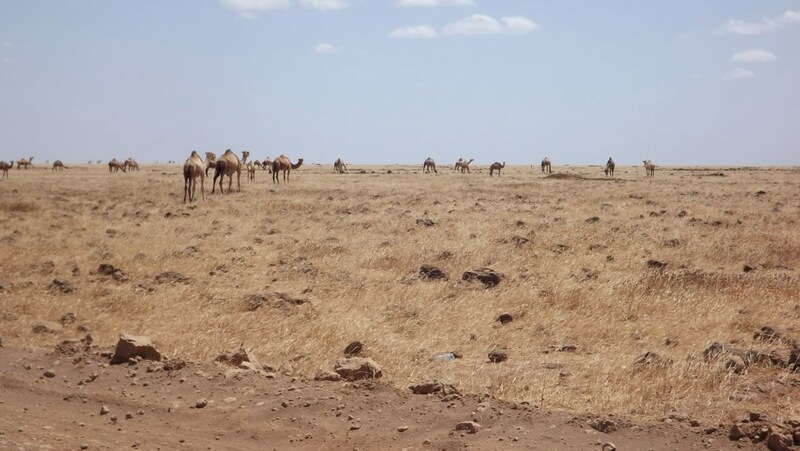 If you had put all the camels I have seen in North Africa and the Middle East together they still wouldn’t be 30% of all the camels in North Kenya. They were fat and looked really healthy. The road was by no means as bad as the Dutch idiot in Wims Holland House made it out to be. I felt totally safe and the road was tuff but by going slow it was actually a breeze. There were also roadworks on the road all the way. The Chinese are building a new road and the roadworks were are various stages from clearing out some bush to building small bridges. Also there were so many trucks on the road and they would come blasting past you at break neck speeds. I was having a fantastic day on the road. 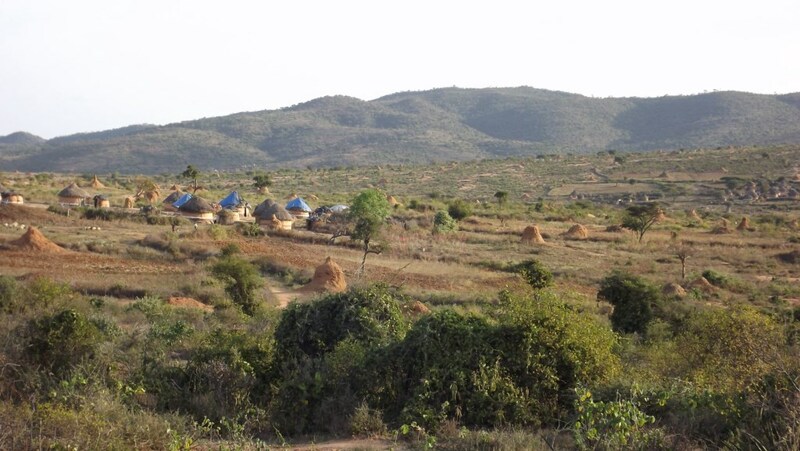 It is so beautiful in North Kenya. 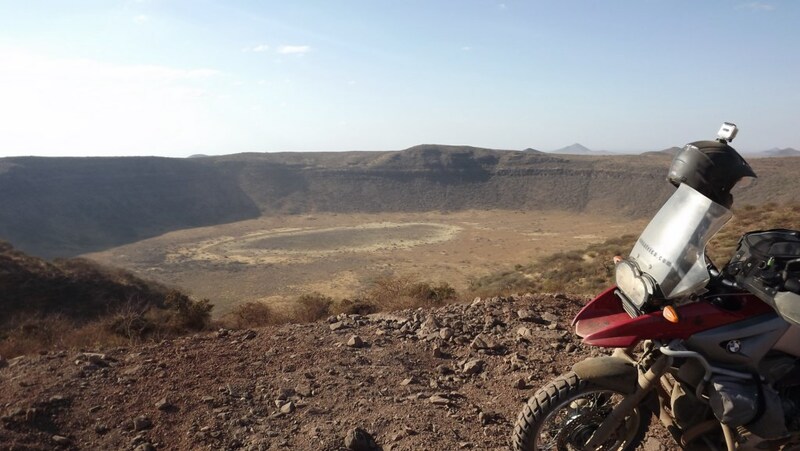 50km before Marsabit I joined a brand new tarmac road into town and settled down at Jey Jey’s campsite for the night. I treated myself to some good old fashion beef stew and chapati. I was also glad that I didn’t have to forced that terrible Njera(watery pancake that tastes like old socks) that they served in Ethiopia down my throat anymore. The next morning I was up at the crack of dawn and had the last of the 130km gravel road to do and also the most difficult section to do. The road was a lot worse than the day before. The corrugations made easy work to destroy the repaired bushes in the headlight. It was a miserable ride. 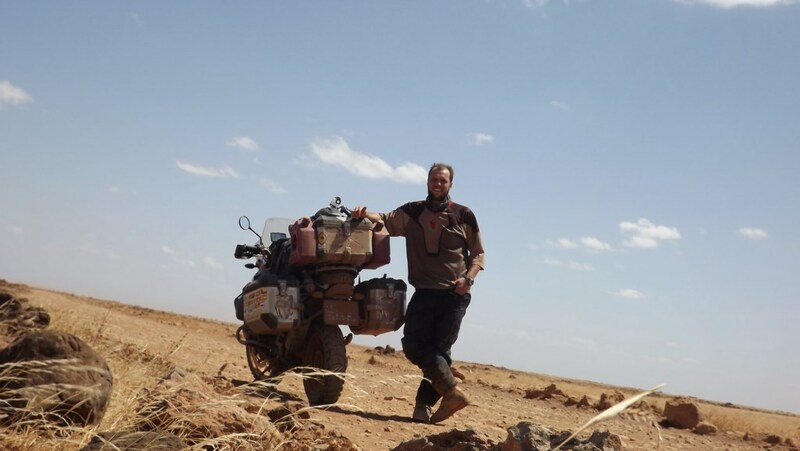 I pushed on and with 20km to go I stopped for a break, but soon after stopping a land cruiser pulled up and said that I should keep going as there were some reports of bandits around. I jumped back on and headed down the road. 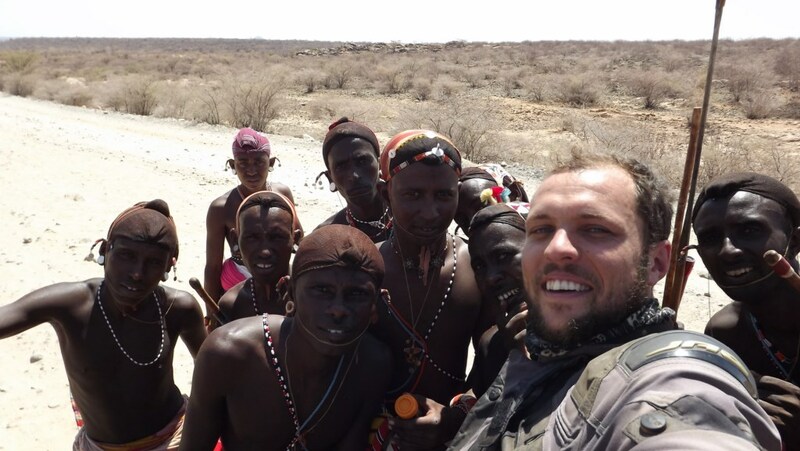 After 10km I met some local tribesman. They wanted to pose for some photos and I gladly snapped away. There was also another thing that I picked up while driving in Kenya. 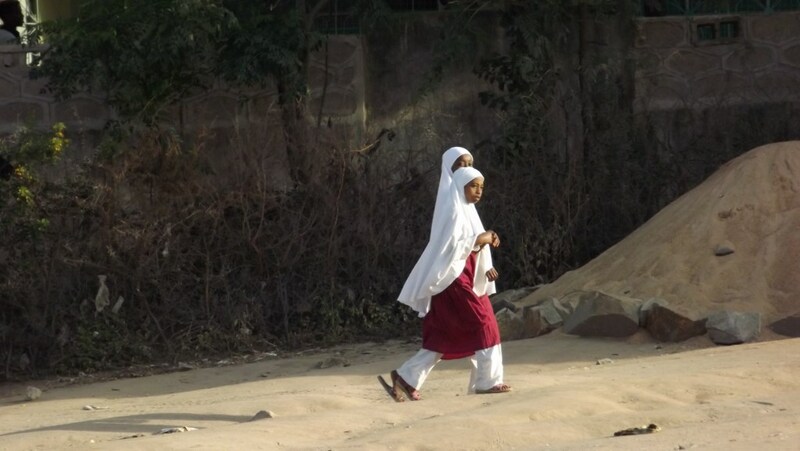 There were small schools all over the place in every village and small town. 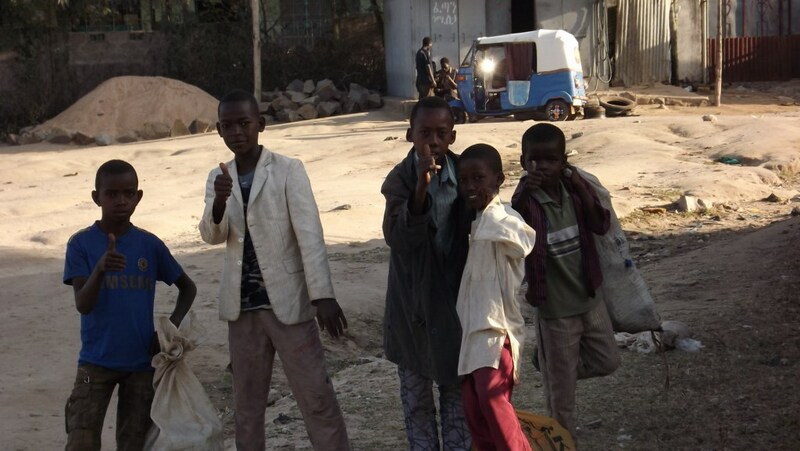 It was nice to see the kids in uniform on there way back home from school. You could also see it in the way they behaved. They were friendly and well mannered and spoke fluent English. 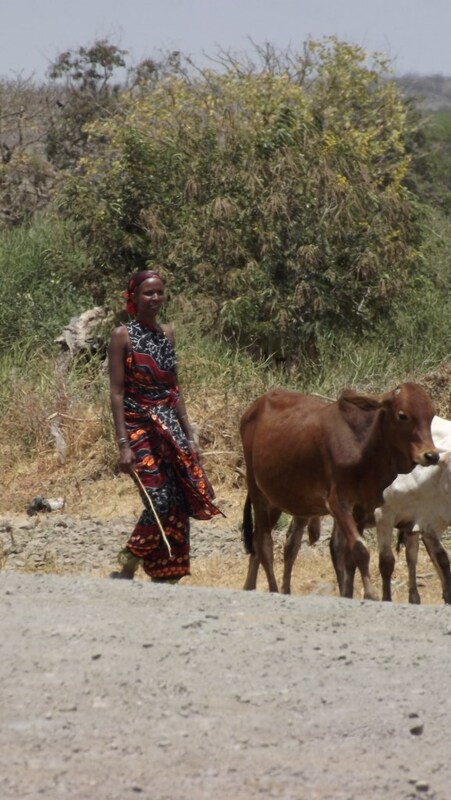 Its nice here in Kenya. 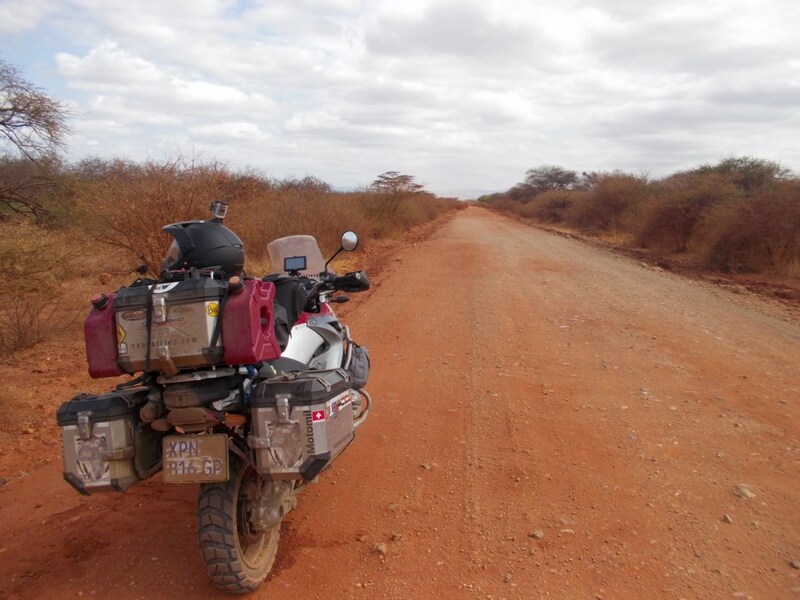 I Reached the tarmac road in Merele and was quite pleased as 2 days of that road is quite enough for the bike. I was a little disappointed as it was a really magical ride and I enjoyed every minute of it. 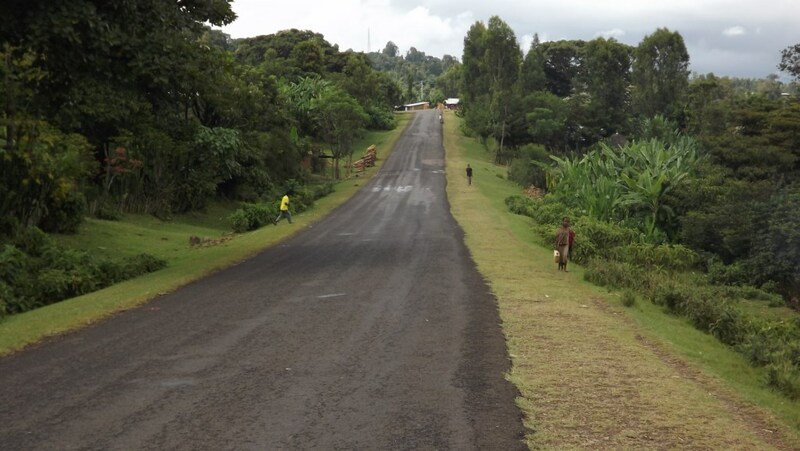 I headed down the new Tarmac road. 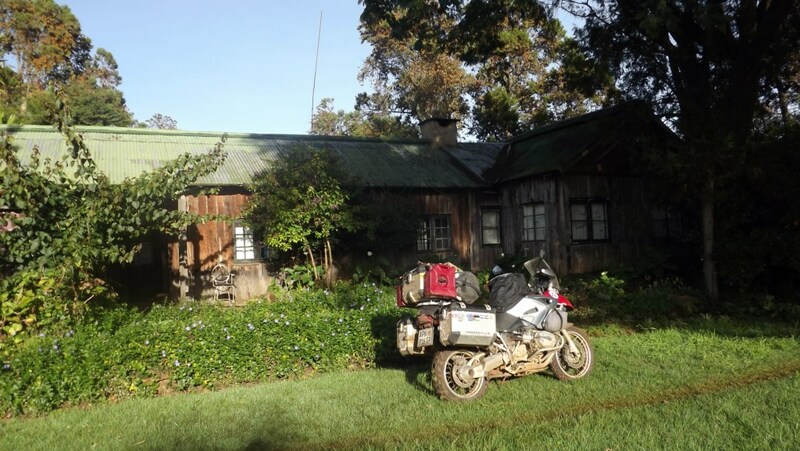 I didn’t want to push on towards Nairobi anymore and wanted to sleep in the forest next to mount Kenya. I checked the GPS and found one only a few k’s down the road. I turned off and had the most terrible time on a 2km stretch of gravel road. 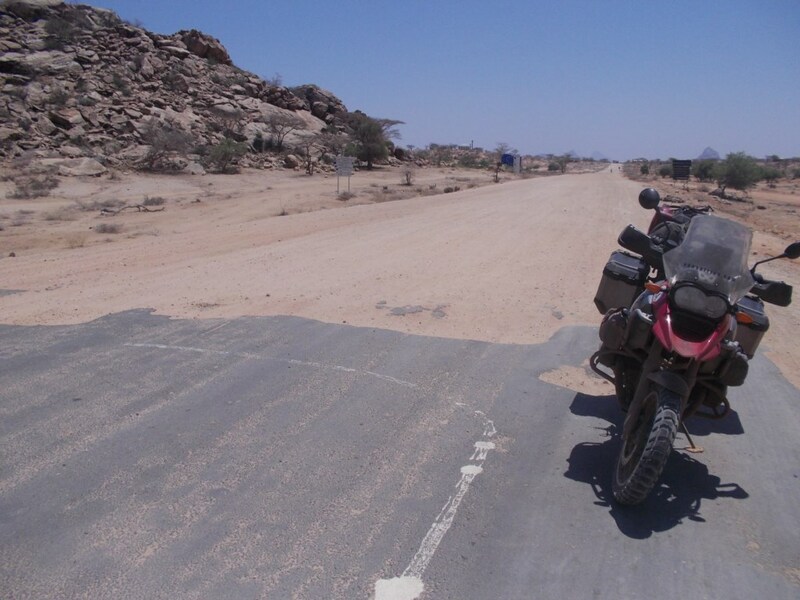 To date it was the most slippery stuff I have come across and with this heavy bike it wasn’t long before the bike was on its side. On the way to Kintrout camping. I picked the bike up and headed on again. After about 50m I was on the side again. It was torturous and I wasn’t in the best of moods after the 2 spills. I pushed on and after some time I reached Kintrout and their campsite. It was raining and I wasn’t really in the mood to camp so they offered me this amazing wood cabin and I settled in. With my own fireplace and totally surrounded by forest I really wanted Deidre to be there. I Met some Kenyian guys and they invited me for some beers and a braai. I was in heaven. I Only planned to spend the night but I ended up staying the next day aswell. 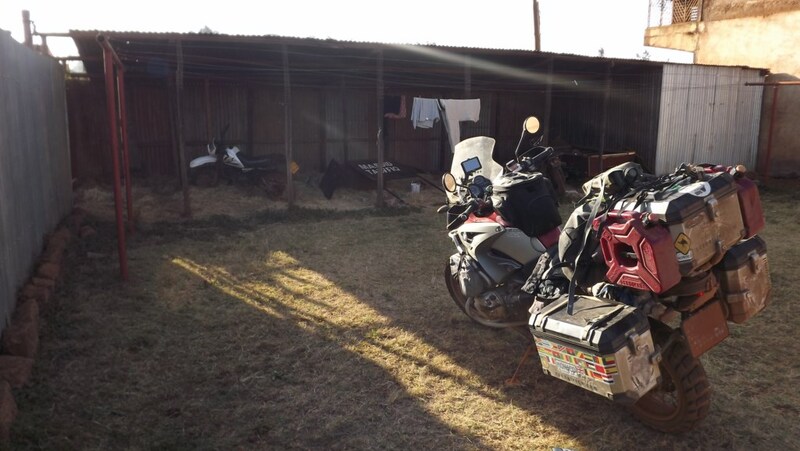 I decided to keep going on to Nairobi and the Jungle Junctions campsite. 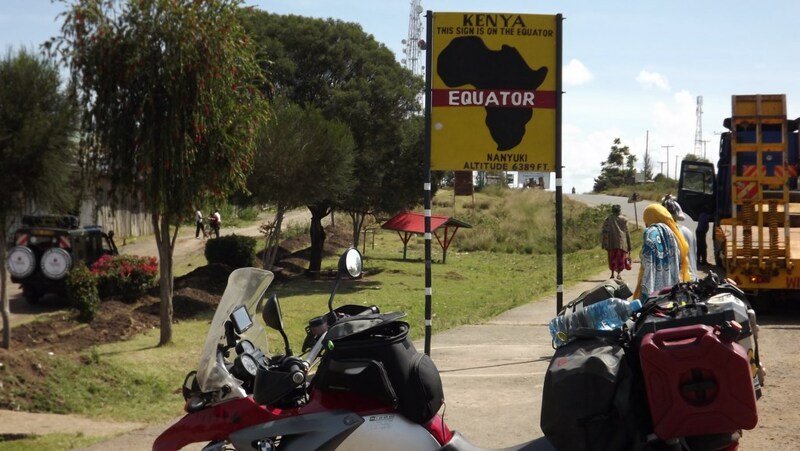 I passed the Equator and got my pic this time round! 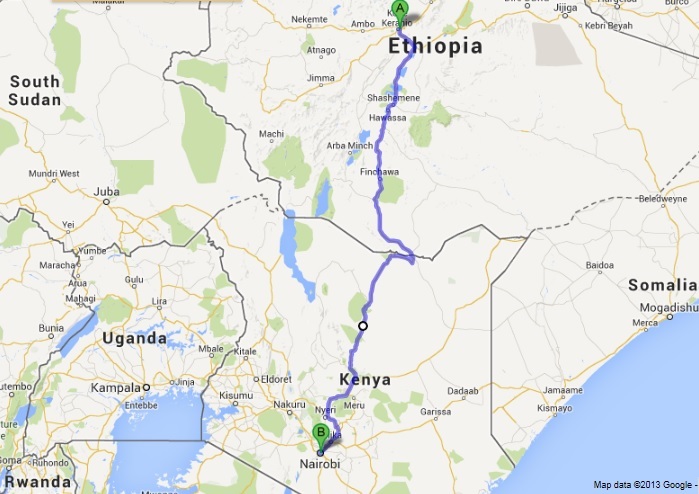 I am currently at Jungle Junction waiting for my mate Riaan to drive up to Nairobi. He is passing through Zambia now and should be here in a few days. We last saw each other at the cross road outside Etosha. I was heading north and he went south back home. So I am quite excited and looking forward to some company for the last leg of the trip. So I will be here waiting for the next week so I will keep you guys posted as soon as possible! Its a pity! I am here for another week if you are in the area! I won’t be around Nairobi upto November when I will be on leave….for parachute boogie in Mombasa. Are you ok together with the bike? Jy MOET ‘n boek skryf as jy by die huis is! Ek soek jou hele trip om oor te droom… Jou blogs laat mens voel jy’s daar saam jou. Geniet die blaaskans terwyl jy wag vir jou vriend. Ek en die DirtFellas wil jou dalk ontmoet as jy SA binne kom. Ernst sal jou kontak en planne beraam. Mooi ry en geniet! Dis sal awesome wees! Sal dit baie like! Indeed, you are going strong, and so fast ! Thanks for all your help and the support along the way from day one! Ja die man is op n rol! Ek sien baie uit! Cool ou! Like die suncity bordtjie! LOL! Nou net jou video van die trip Nairobi toe gekyk. Sien tot die donkies val om op die grondpad! Jy het nie ‘n idee HOE graag ek die ooppad wil vat nie! Wanneer verwag jy om in Malawi te wees? Miskien…. So die 7/8 ste september daar rond.